Sometimes, doing what is best for your kids means having the foresight to prepare for accidents and worst-case scenarios and this includes knowing what to do when faced with unexpected facial and dental injuries. In the case of a potential dental emergency, the first thing you should do is examine the inside of your child’s mouth and try to determine the severity of the injury and whether they need to be taken to an emergency dentist for kids. Contact your local dental care clinic in Etobicoke beforehand and register your child as a patient and take them for regular check-ups. Also, make sure to keep a makeshift dental emergency kit on hand in an easily accessible place in your home. 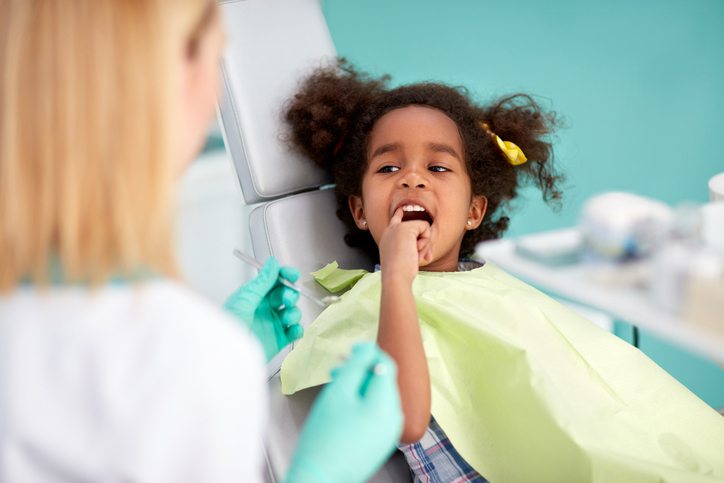 Taking your child to the dentist regularly from an early age will reduce their fear of the dentist early on in life so that if a child dental emergency does occur, they will not be as frightened as they would be if they were going for the first time. As a parent, it is important to remember that any time your children injure themselves, they are terrified and they rely on you to be the authority figure who knows exactly what to do. That is why it is important that you are not only emotionally equipped to deal with a dental emergency, but you are also aware of the right course of action to take in this situation. Unfortunately, many inexperienced or first-time parents are unprepared to deal with a serious injury and they panic, which only makes the situation worse. The best thing you can do for your child is to remain calm and learn about the right course of action beforehand so that when it does happen you can jump into action with confidence and ease. Time is of the essence in these situations as it typically is in any emergency situation, especially if your child’s tooth has been dislodged. If the child’s tooth has been knocked out or fractured, the first thing you need to do is either find the whole tooth or all the pieces of the tooth and preserve them in the child’s saliva if possible or milk to keep it moist. Plain water will erode the tooth. Also, avoid touching the root of the tooth at all costs because this could damage the roots of the tooth, making re-implantation nearly impossible. Check the child’s mouth thoroughly to ensure that they are not harbouring any missing pieces or large chunks of the tooth as this is a major choking hazard and it can also damage their other teeth. Typically, emergency child dentists do not reattach prematurely dislodged baby teeth because they are going to fall out and be replaced by adult teeth anyway. Regardless, it is a good idea to take the tooth to the emergency dentist in Etobicoke for examination anyway. You should also consider keeping an emergency dental kit on hand in your home in case a child dental emergency does occur and you are unable to get the child promptly to the dentist. Here is what the emergency dental kit should include: gauze, a small plastic cup, mouthwash, a cold compress and a device to store the tooth in with some fluid (saline liquid, saliva or milk). Above all, contact your emergency child dentist in Etobicoke immediately for fast treatment. Princeview Dental Group is a dental clinic in Etobicoke that can treat dental emergencies during their regular office hours. We serve West Toronto and the GTA. We treat in all kinds of routine and emergency dental treatments for both kids and adults. To book a consultation, call us at (416) 231-4562.